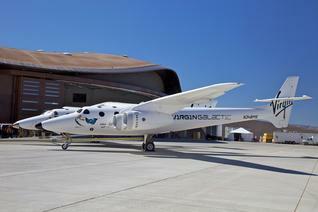 The delay in the start of Virgin Galactic flights has forced the New Mexico Spaceport Authority to partially fund operations of Spaceport America from a gross receipts tax originally approved to pay for the facility’s construction. It’s a practice one state senator now wants to end but which the spaceport’s management says is essentially to keeping the lights on. For the past three years, the spaceport has benefited from a windfall in excess of payments made to service the debt on a $76.4 million in bonds and to a reserve fund. The spaceport has received a total $774,498 between fiscal year 2011 and fiscal 2013. Sen. Lee Cotter, R-Las Cruces, has introduced Senate Bill 172, which would prohibit the spaceport from using excess money to pay for operational expenses. He said taxpayers in the two southern New Mexico counties agreed to pay off the construction bonds, not fund operations. “It doesn’t follow the spirit of the agreement,” he said. Three boards, including a mix of elected and appointed officials, approved allowing the spaceport to put the excess tax revenue toward operations. They are the New Mexico Finance Authority, the Spaceport America Regional Spaceport District and the New Mexico Spaceport Authority. NMSA Executive Director says that without the revenues from the gross receipts tax, the authority will not be able to stay in operation. Residents of Sierra and Dona Ana counties voted to impose the tax increase on themselves to fund spaceport construction. Perhaps the billionaire who wants to ‘democratise space’ would like to step in and help the tax-payers of the poorest part of the poorest state? I think the residents of Sierra and Dona Ana counties who voted to impose the tax increase on themselves to fund spaceport construction are very brave to do so. I really do hope their commitment is matched and rewarded. actually, NM is not the poorest state. Not even close. Mississippi and others are much poorer.